Spectacular 11 acre property includes a stunning newer Craftsman style custom home. Beautiful inside and out from the circular driveway entrance along the orchard to the tall vaulted wood ceilings. This View home offers privacy, quality and comfortable living spaces. 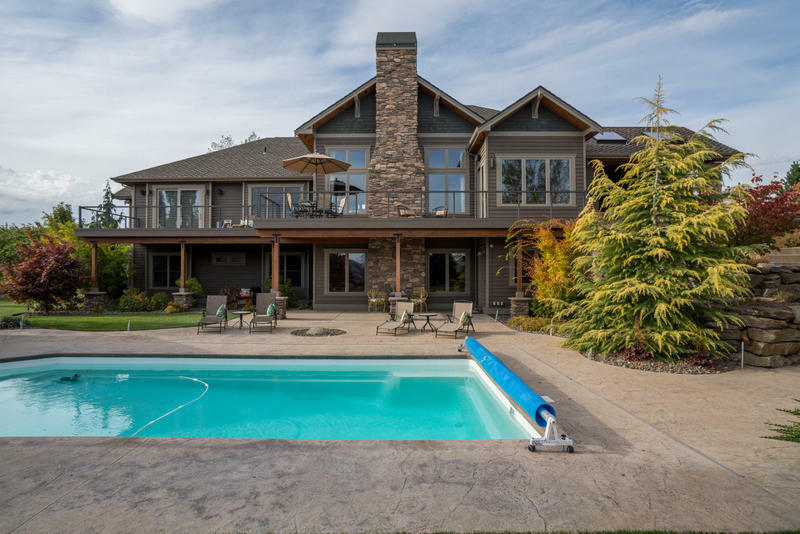 Extensive outdoor living: pool, covered patios, fireplace. High-end Pella clad windows for comfort & style. Chef's dream kitchen featuring: Dacor gas range, Sub-zero refrigerator, large island. Full height Natural stone fireplace is the Great room focal point.. Wide staircase lead to bedrooms and family room with snack/beverage bar. Master suite & office on main floor. Laundry on both floors. Comfy heated floor in lower level with family room and additional bedroom suites. Oversized 4 car garage.